If you've read the March 2019 issue of BRM, you'll have spotted that I have borrowed a 3D printer to play around with. While I am doing some proper model railway type jobs, I couldn't resist using some spare filament to satisfy my desire for the little cartoon boat model spotted everywhere at a 3D print show. I had wondered why it was so common on every stand but quickly discovered the boat is #3DBenchy - a freely available model for testing and comparing printers. 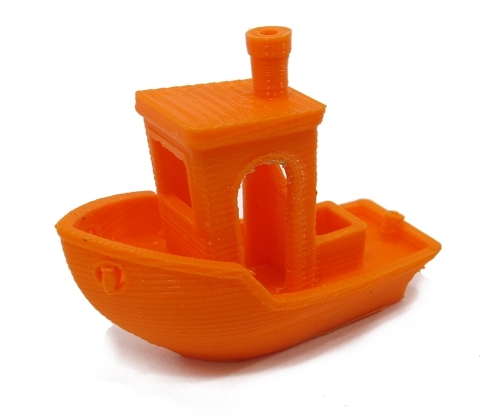 You can download the data from the official #3DBenchy website. Of course, I did this, then re-sized it to 4cm long as I didn't want to use too much lovely orange PLA. I fired up the printer and off it went. A couple of hours later, the result wasn't quite what I expected. There's an awful lot of support material required for the model. Breaking this away is a bit fiddly and time-consuming, but with a bit of brute force and ignorance with small pairs of pliers, a little model appeared. 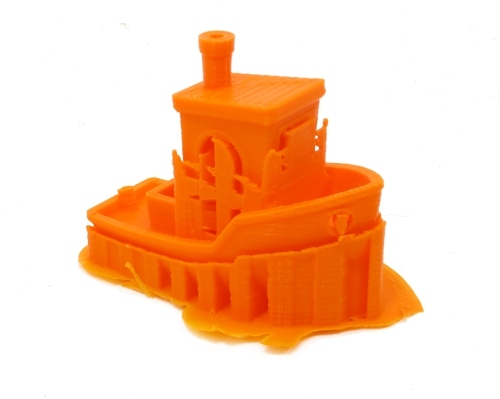 I hate to say but you've been printing the benchy wrong. it is a test of the printer and should not be printed with supports. "The 3D model is designed to print at 1:1 scale without support materials. It is challenging for most 3D printers but the small volume (15.55 cm3) typically prints in well under two hours and does not require much material." That's interesting. I pulled the files into Cura and it put the supports in for me. How would you print the otherwise unsupported roof without them? Have a go without to see the results. It may surprise you.